Duffy, Chris' wife, grew up in New Orleans and graduated from John Ehret High School in 1981. She started her work career with LaMarque Energy, where she developed her administrative skills as an Executive Assistant. In 1989, she began the all-encompassing job of rearing the 1st of 3 daughters. Duffy has served on various boards and committees for both her church and the girls' school. 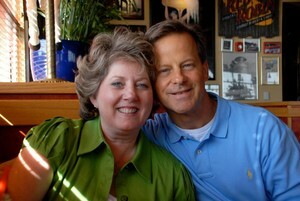 Since it's foundation in 1995, she has worked tirelessly alongside her husband at Cornerstone. Although you might not see her at the office every day, Duffy is behind the scenes making sure that our entire business runs smoothly. In addition to bookkeeping, payroll, and other financial transactions, Duffy works closely with the team to assist them with projects and day to day functions in the office.